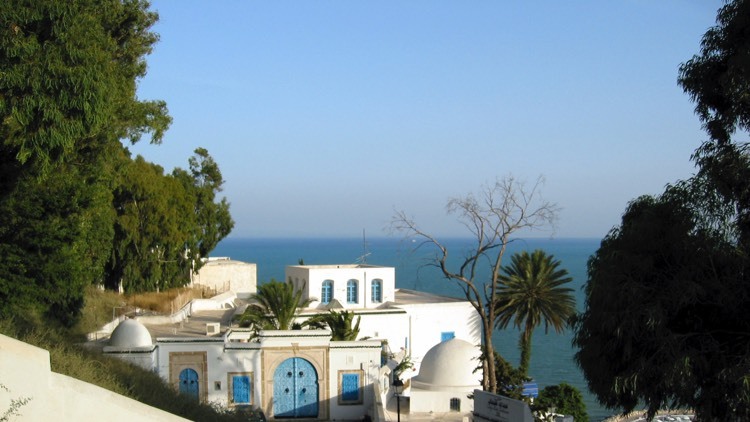 I grew up on an island off the coast of Tunisia on a small-holding. We ate what we grew and the lack of modern equipment, including a fridge, meant my Mother was a goddess at preserving, pickling, fermenting and sun-drying. As a result she was able to turn our farm’s surplus food in to all sorts of treats to be enjoyed all year around, it also meant making meals was a full time job! My Mum passed on her love and respect for food to me, as well as all her know-how and above all, her resourcefulness. All meals were tapas style, with the main meals often consisting of one dish with no more than 3 or 4 ingredients. Alongside would be a large array of side dishes, pickled vegetables, preserved lemons, anchovies, ejja or bricks, harissa dip and homemade bread using different flour and grains together with some kind of seasonal bowl of salad. While I was travelling and working in different countries, I missed this style of cooking. At one time the trend was for a formal dining experience, now after the economic troubles of the last few years, eating habits have changed so that home cooking has become trendy with North African and Spanish cuisine now being celebrated. Not only that, but the art of preserving, pickling, fermenting foraging and home-brewing are now having a revival. These childhood experiences and memories inspire the food I cook for customers today. And I am really excited about these current food trends and how these will develop. Better still they take me back to my childhood, which always puts a smile on my face. Variations include caraway, coriander and cumin seed. Soak the peppers in water for 30 minutes. Cut off the stems. Blitz the peppers and garlic in a food processor. Don’t over whizz it. It should look like a thick sauce. Stir in the olive oil, lemon juice, salt, caraway and cumin. Taste and adjust seasonings. It will just look like a lot of oil at the beginning, it will get darker in colour as it settles. Store in an air-tight jar in the fridge.